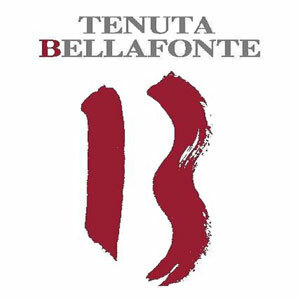 Bellafonte is located in the heart of the most pristine part of Umbria, just two steps away from Bevagna, near the tiny charming village of Torre del Colle. We wish to create great wines, in the respect of nature and tradition, by interpreting the natural exuberance of traditional Umbrian grapes in an elegant and refined way. Seven hectares of vineyards, located at a height varying between 260 and 320 meters above sea level on the typical clay of the area alternates to marly and arenacous formations. Our Cellar has been designed to blend harmoniously with the natural surrounding landscape thanks to current energy saving and environmentally healthy construction techniques. Completely underground, consisting of a bearing structure of steel and stone in direct contact with external rocks, the cellar benefits from a constant airflow coming from outside that affect the temperature in a natural way. Grapes are not crushed but simply destemmed and then transferred in the vats where they start to ferment without any addition of yeast. We use only large Slavonia oak barrels (bigger than 30 hl) for wine ageing, and we bottle without filtering.